So, February 2017 has sneaked off, never to be seen again. Hope everyone managed to fit in their Februa purification ritual, after which the month is named. And, as a certain person of orange hue has managed to not press the big red button, we’re all still here and no doubt desperate to know which book that I read in February has walked off with the Puzzly – the In Search Of The Classic Mystery Novel Book Of The Month. The prize of this – the honour of being my background wallpaper for the following month – who could ask for anything more? Cruel Mercy by David Mark – a great read, but less of a mystery this time around, I felt. 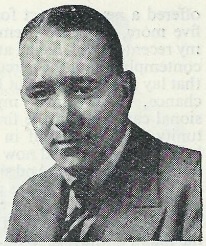 Men Die At Cyprus Lodge by John Rhode – in which some men die at a place called Cyprus Lodge. Obviously. Murder M.D. by Miles Burton – in which being a doctor in a certain village is extremely bad for your health. 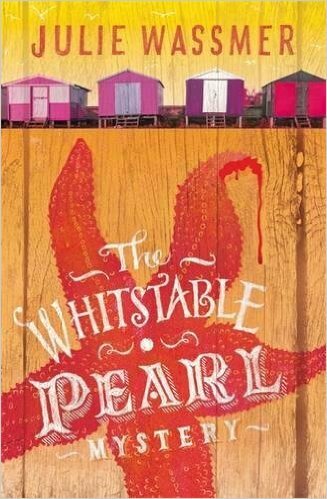 The Whitstable Pearl Mystery by Julie Wassmer – my quest to read this series (featuring another chef – what a coincidence) in reverse order comes to an end. The Goblin Market by Helen McCloy – spy nonsense set in neutral territory during the second World War. The Dove Of Death by Peter Tremayne – back to seventh century Ireland, and the hunt for a masked murdering pirate. Which makes it sound a bit more interesting than it actually is. 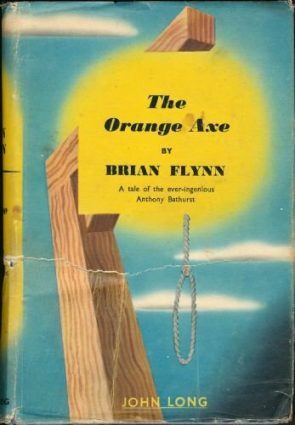 Reverse The Charges by Brian Flynn – a bonkers serial killer tale – sorry, homicidal maniac tale – where some very odd murder methods are being employed. A tricky one, this month, as no book was desperately awful. I didn’t enjoy The Goblin Market much, but I could see how fans of the spy genre might. The Dove Of Death was fine, just not as good as other Fidelma tales. But on the other hand, no book set the world alight either. Cruel Mercy is very good, but… something didn’t quite click for me. The Whitstable Pearl Mystery is a great classic mystery homage (don’t say cosy, although it probably is). The actual Golden Agers, from Rhode, Burton (aka Rhode) and Flynn were fun reads, but certainly not five-star classics… Basically, plenty of good reads, nothing that leapt out as miles ahead of the pack. It’s tempting to go for Reverse The Charges, due in part to the serial killer’s theme striking a chord with me, and in part due to the stunningly irrelevant cover (especially the woman who seems to be holding her head on) but The Whitstable Pearl Mystery sneaks it – a modern mystery with strong classic themes running through it. So congrats to Julie Wassmer – book four is out soon, by the way. 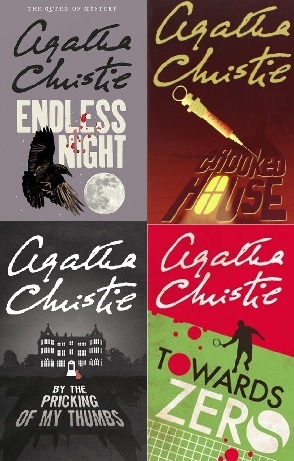 So, on to March with a few new releases, a load of classic mysteries and who knows what else..
Hi Puzzle Doctor,the new Bryant And May novel could be the best one to date apparently.